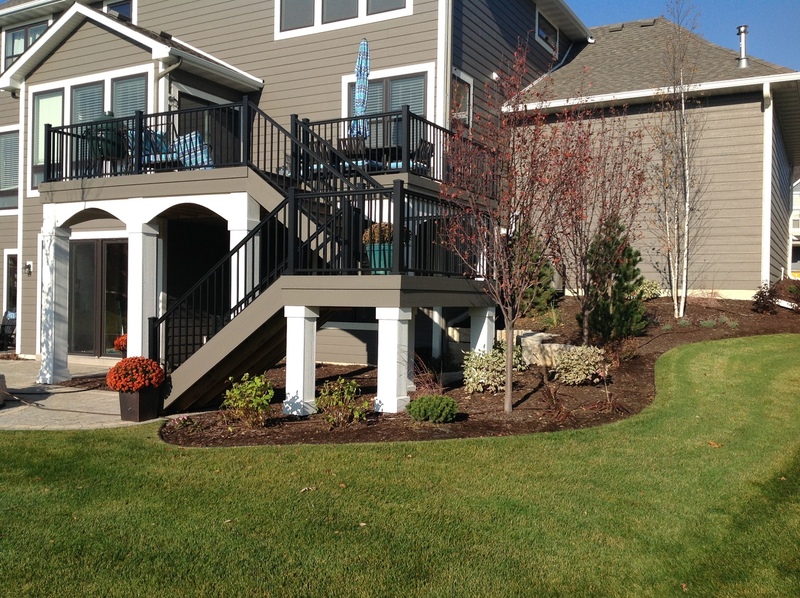 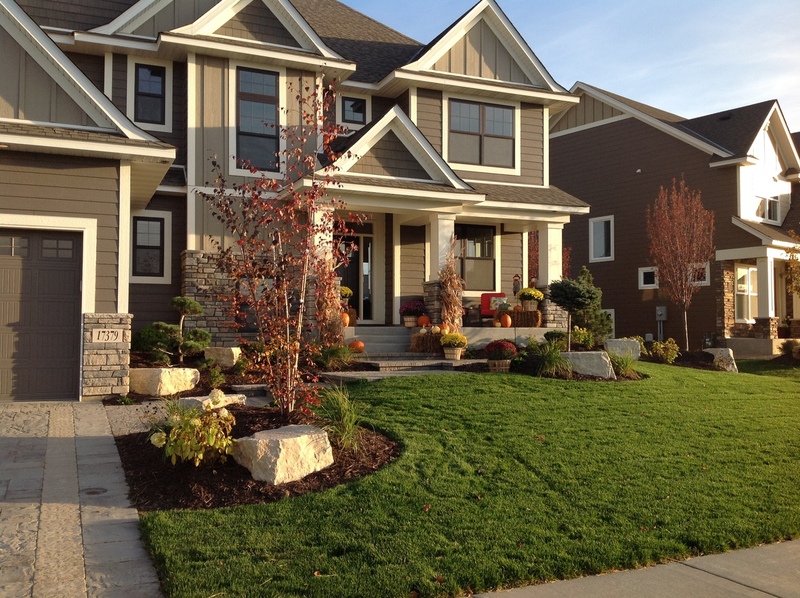 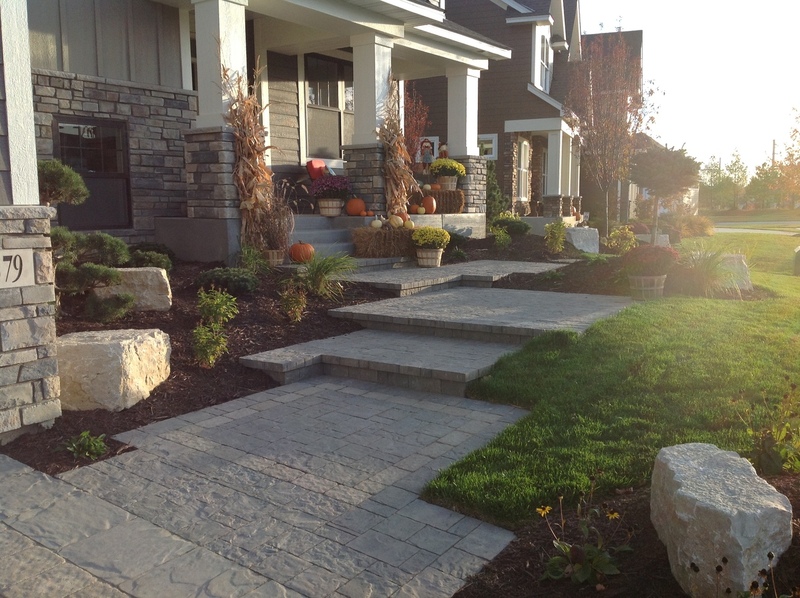 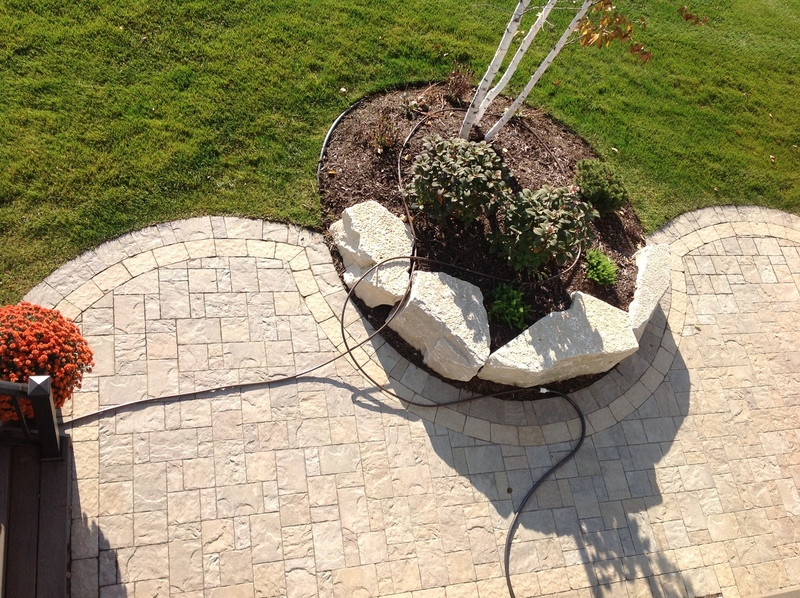 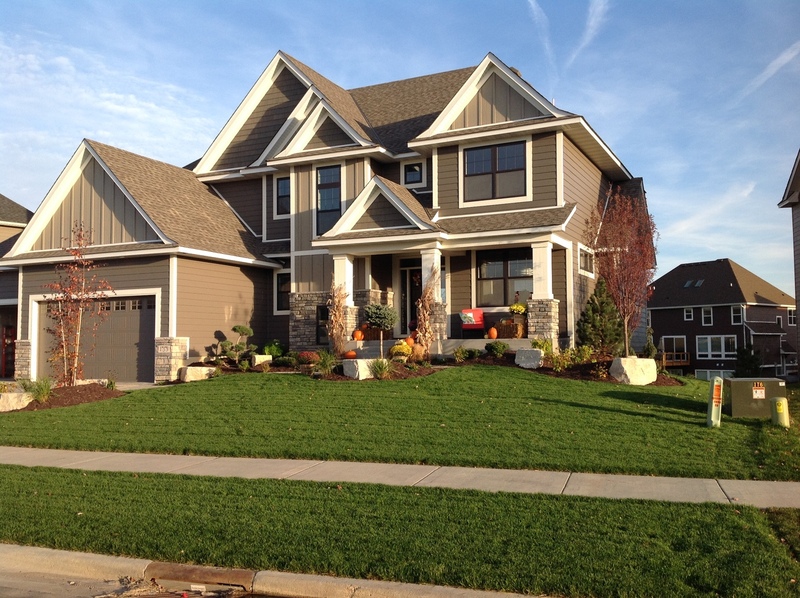 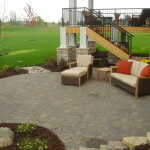 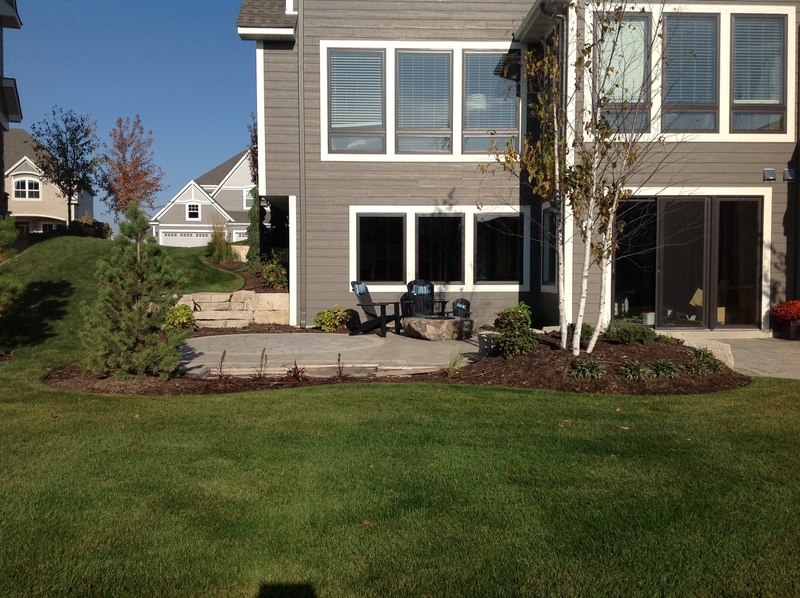 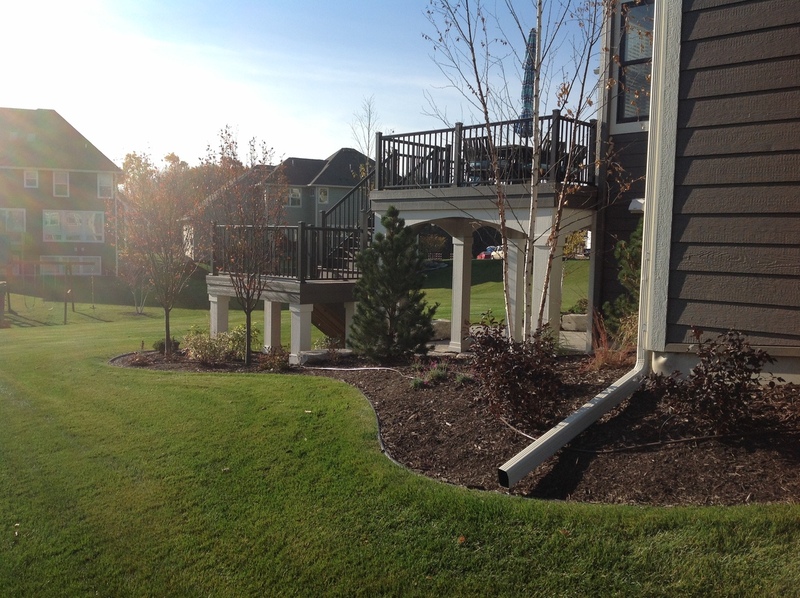 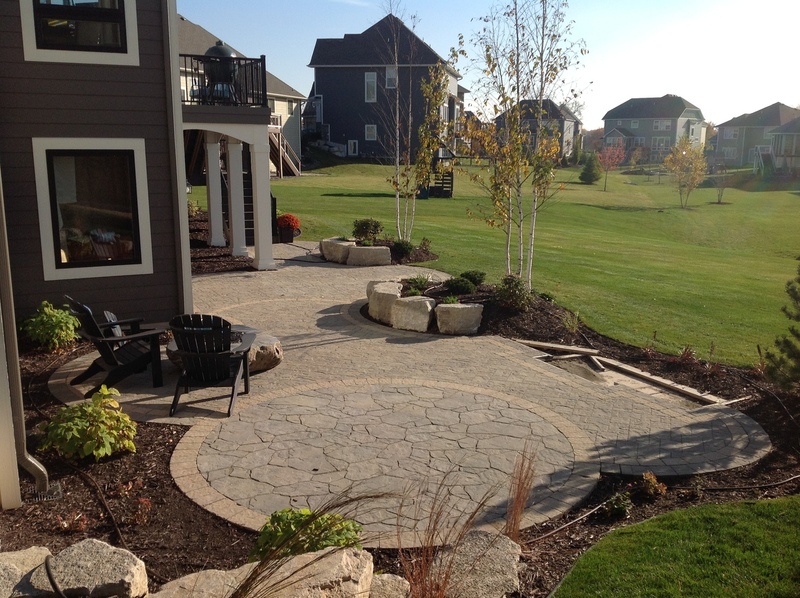 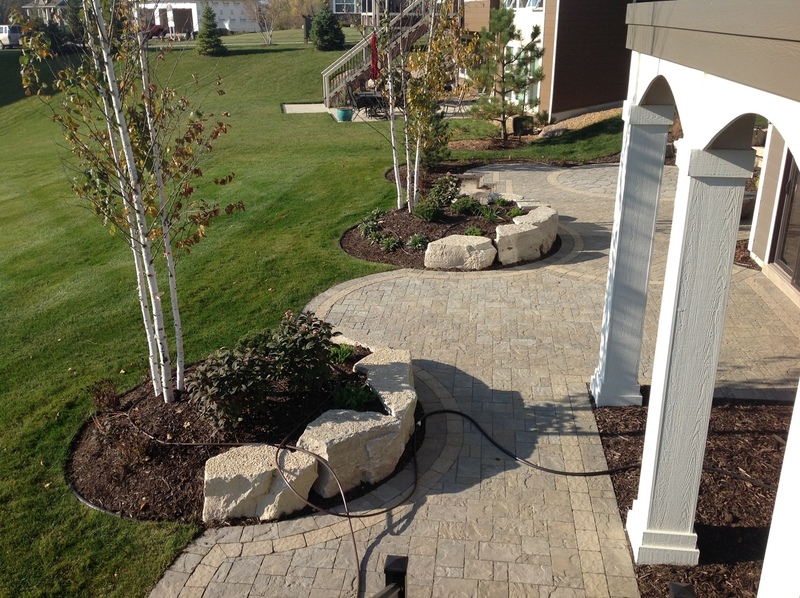 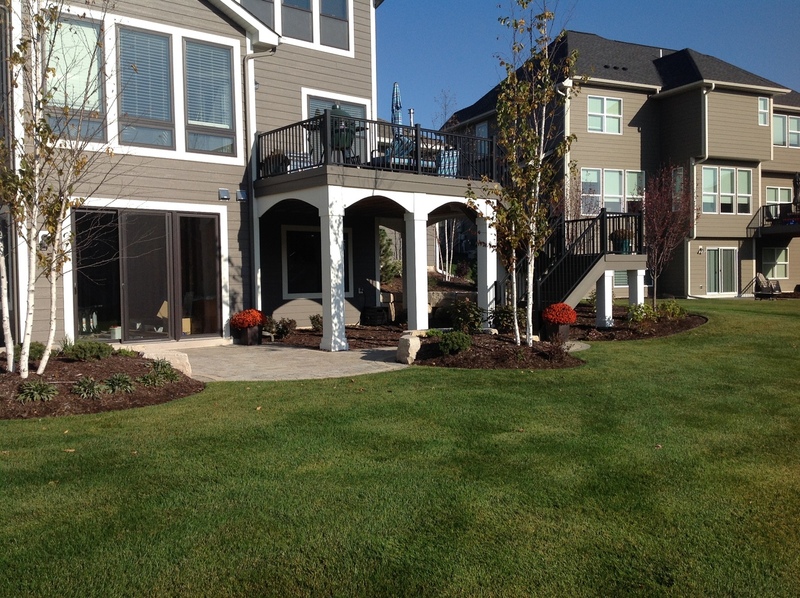 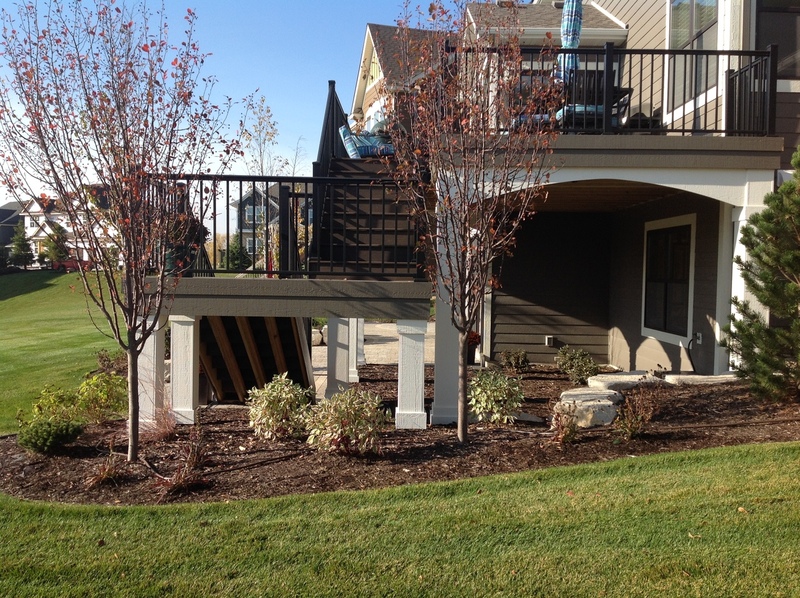 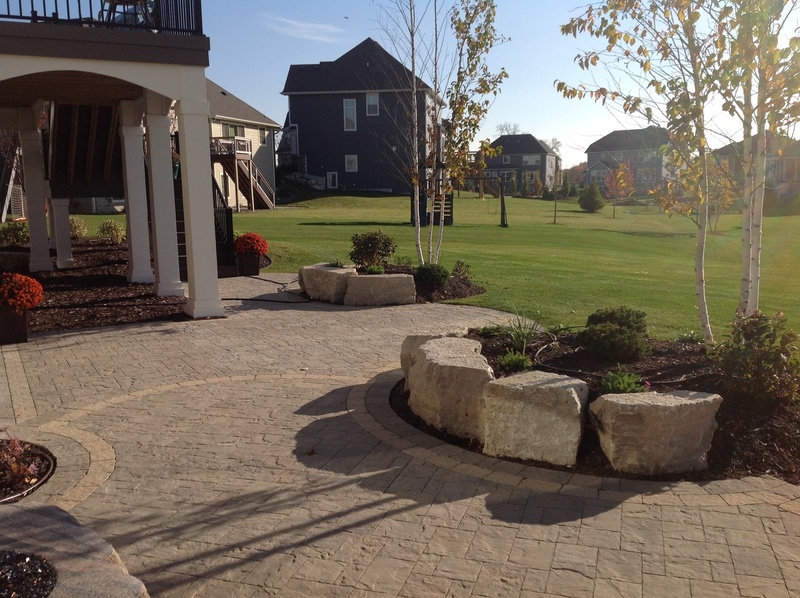 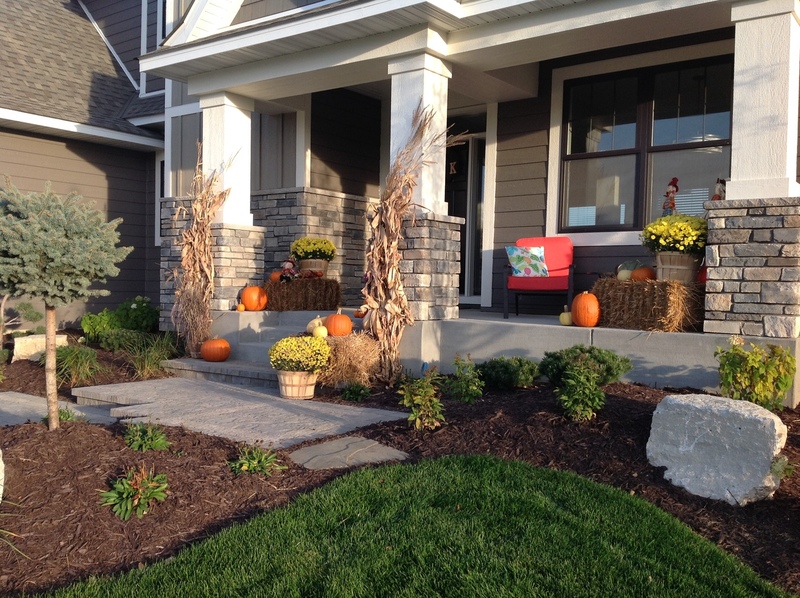 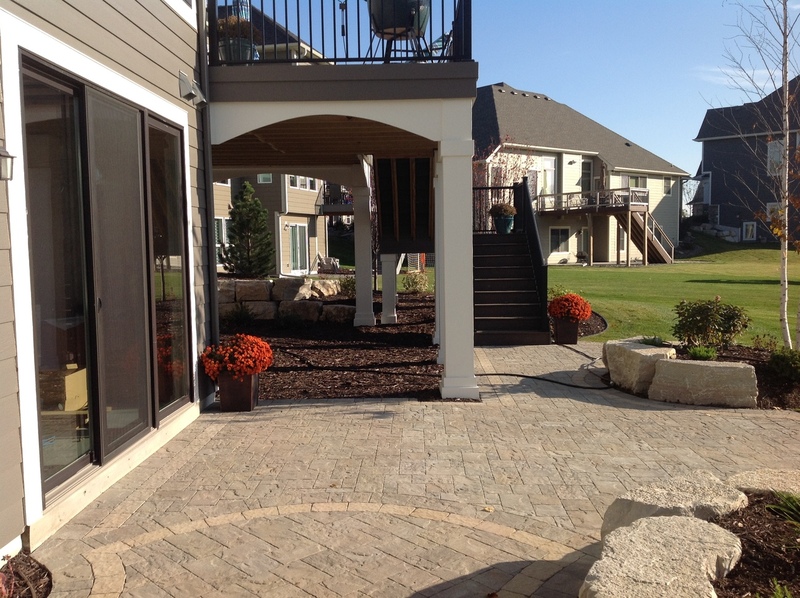 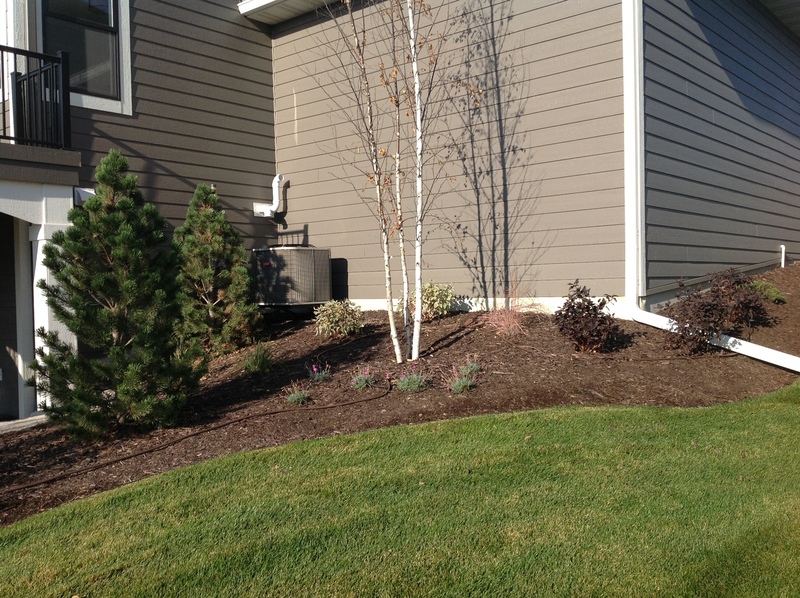 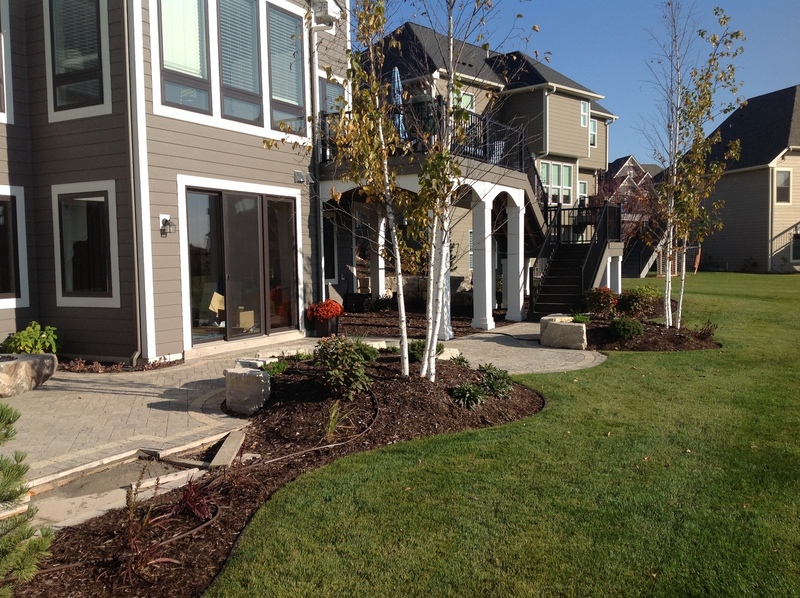 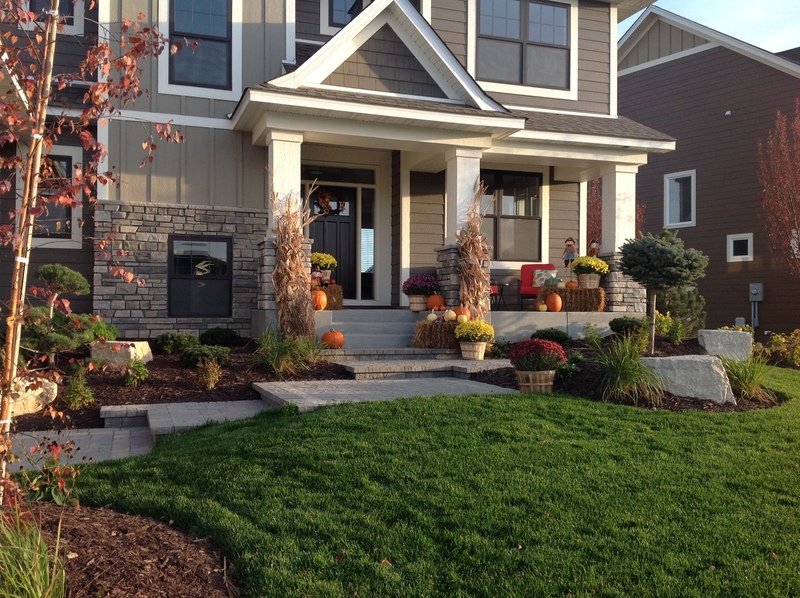 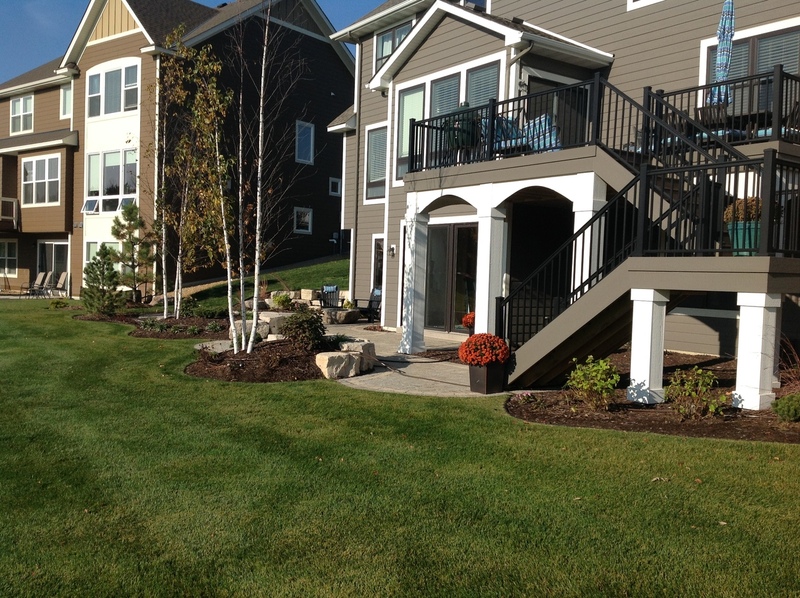 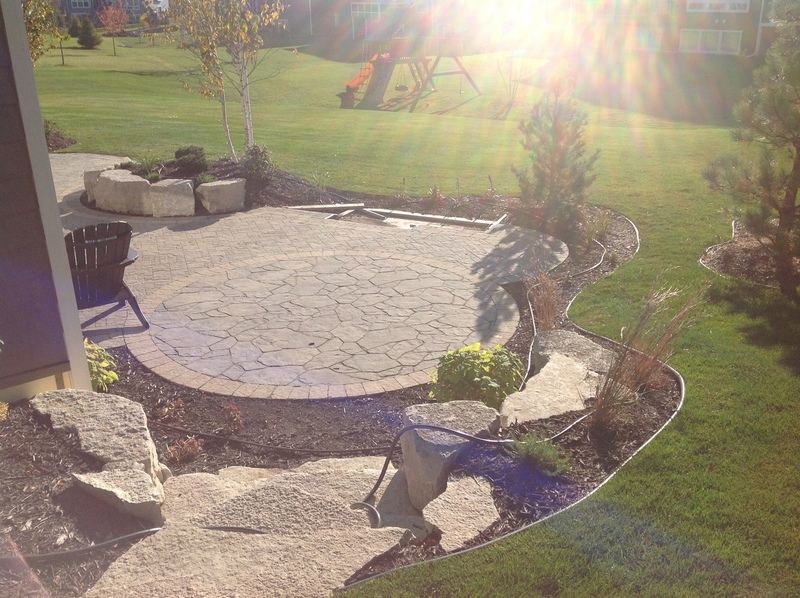 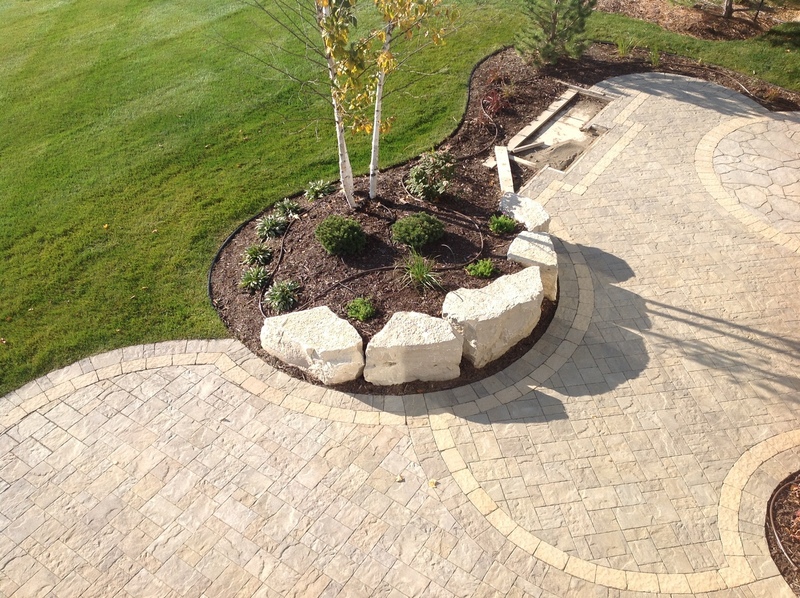 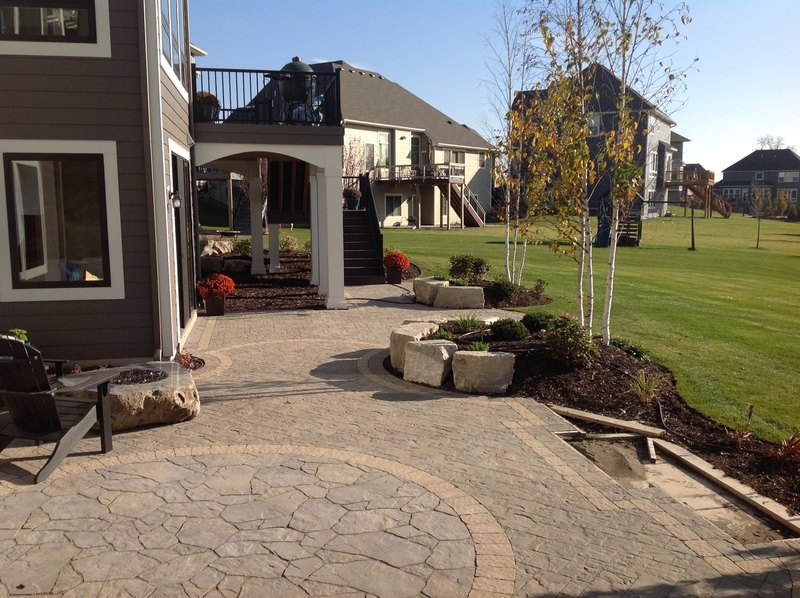 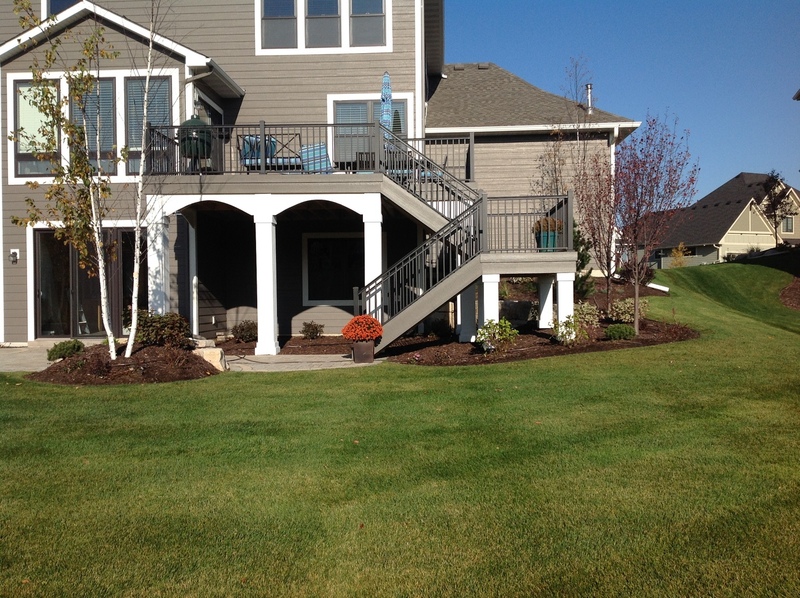 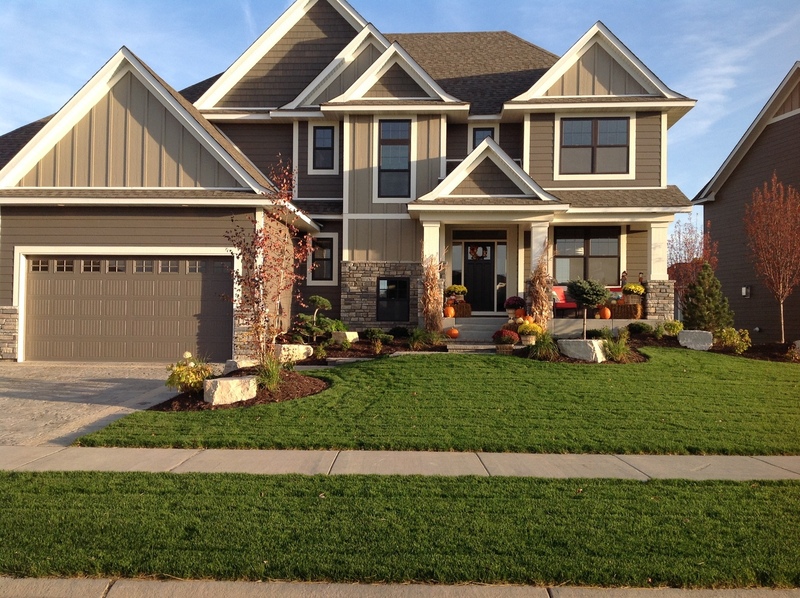 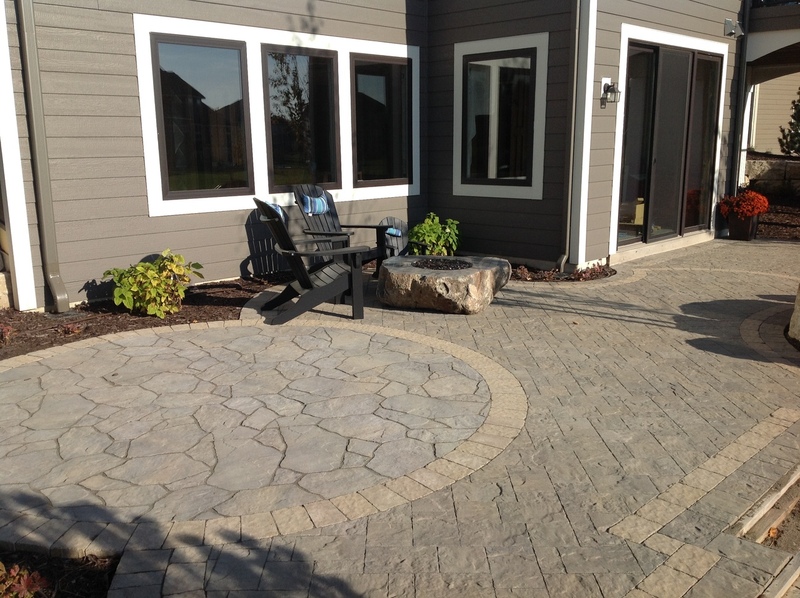 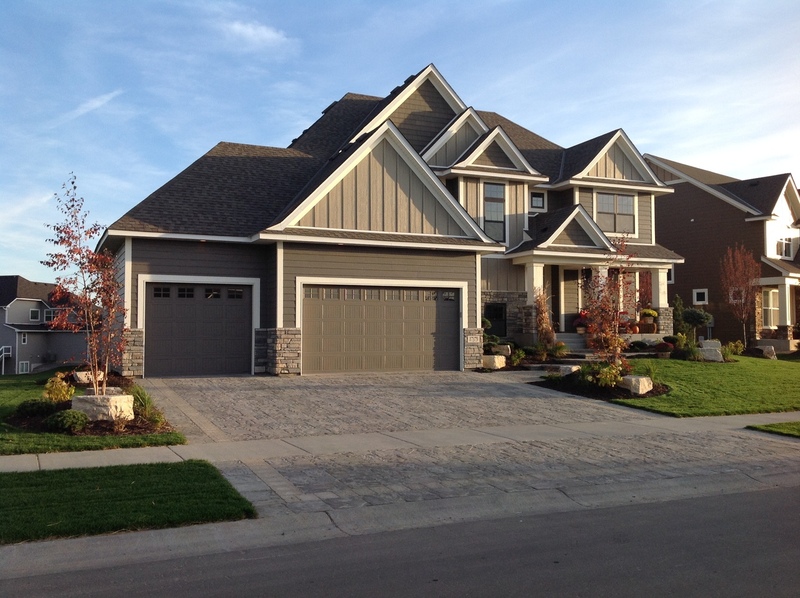 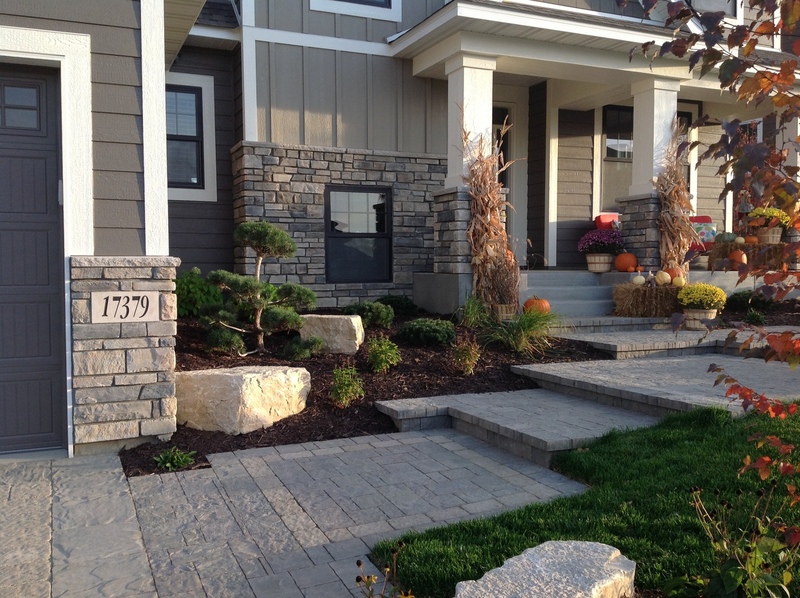 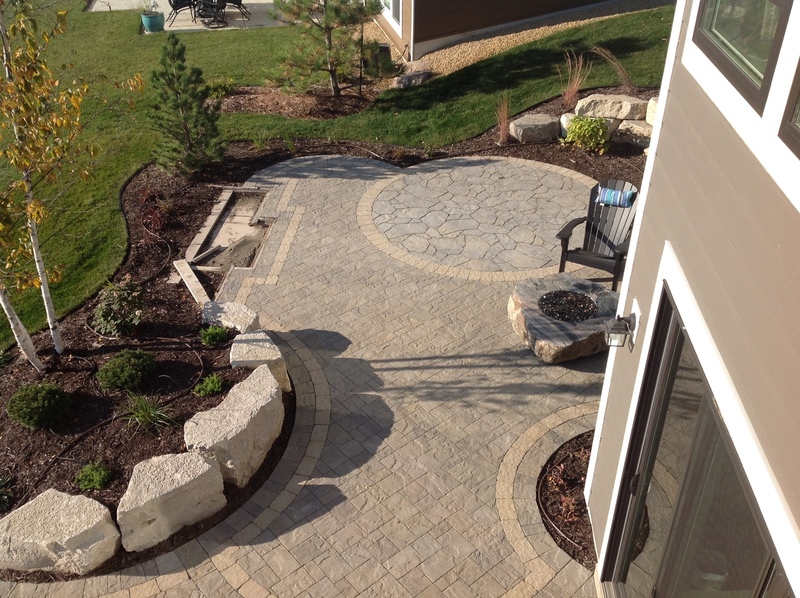 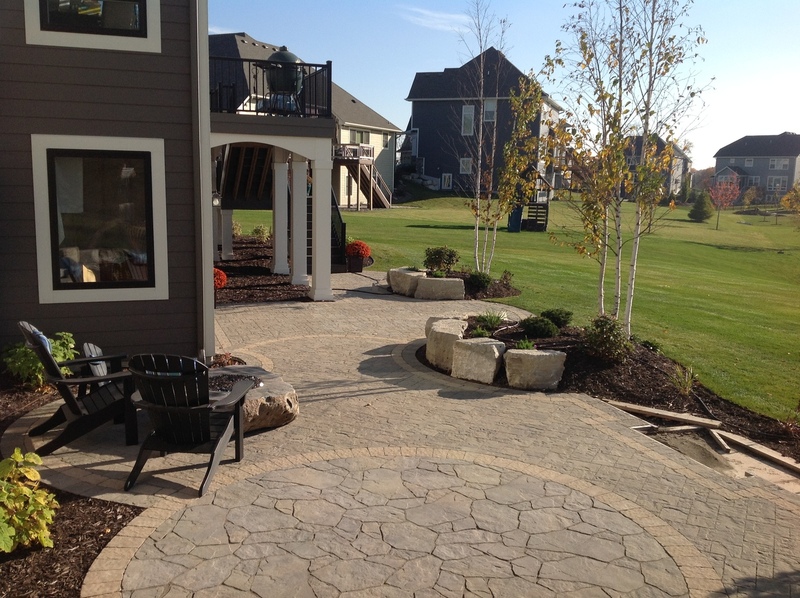 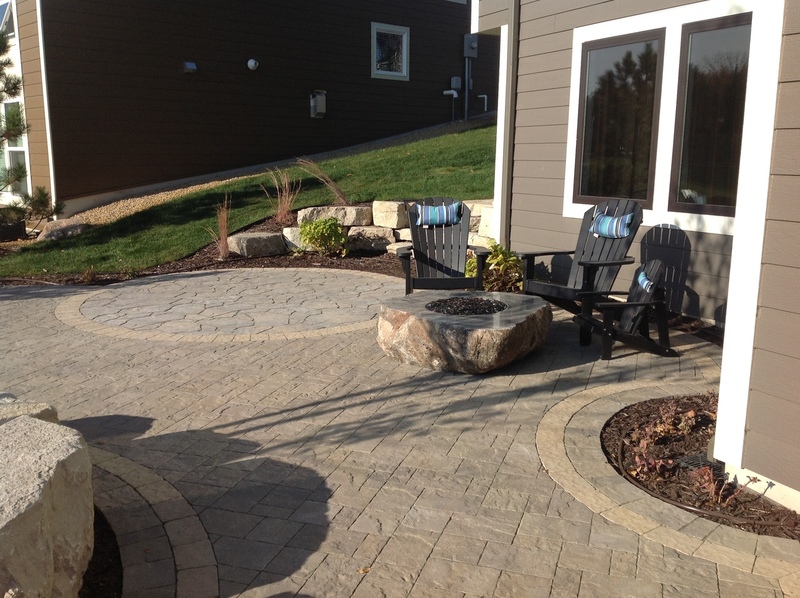 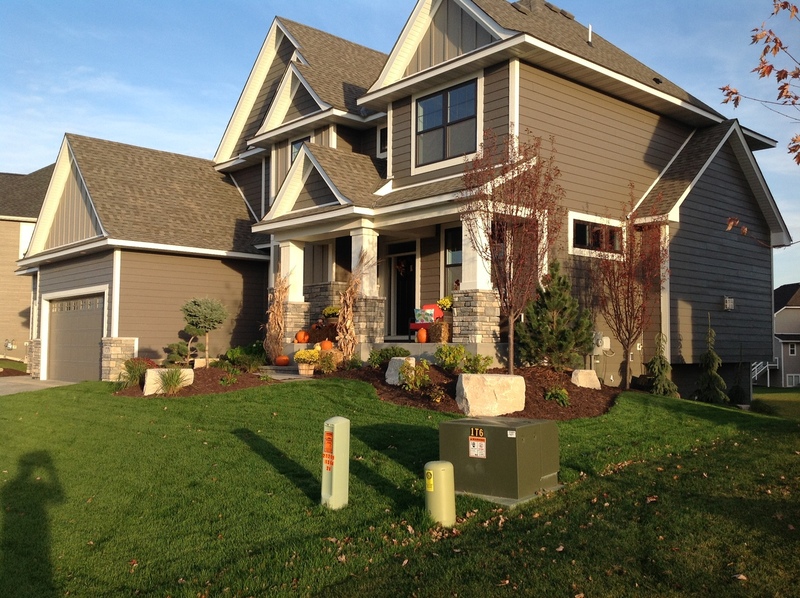 The custom landscape and hardscape design on this project in Maple Grove, MN included a Belgard paver driveway, and sidewalk for the front entry, which was surrounded by beautiful trees, shrubs, and perennials. 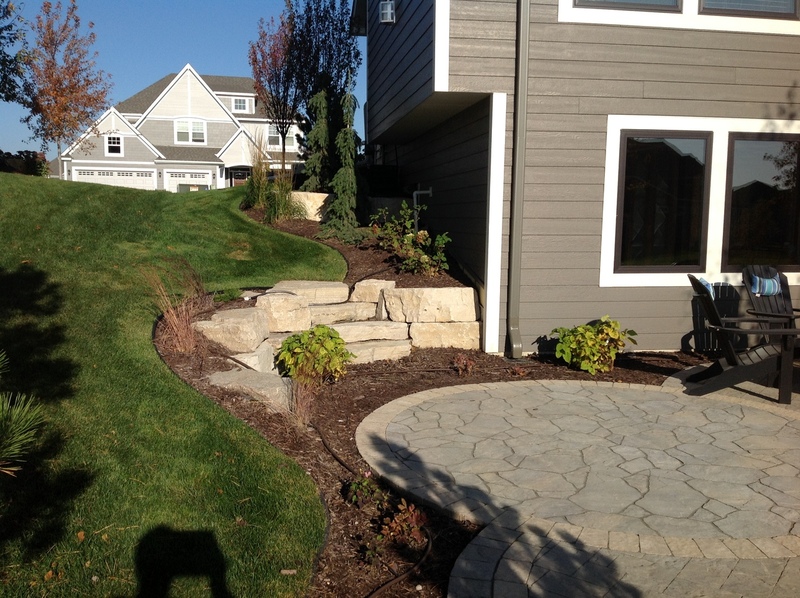 Each plant was chosen because of it’s unique color and texture offering a contrast against the soft brown mulch and rigid limestone boulders. 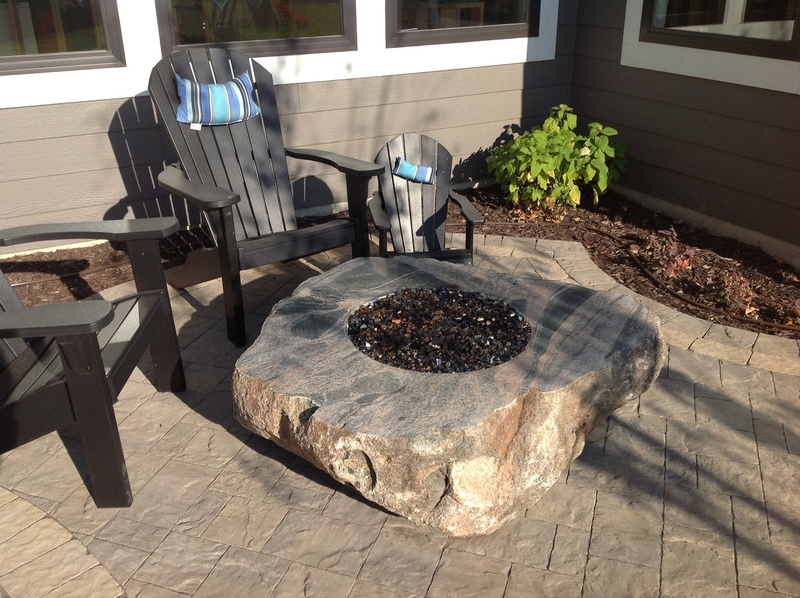 The backyard retreat includes a large Belgard paver patio and handcrafted boulder outcropping turned into a custom gas fire pit.